Aurasian takes over the Chadine polymettalic project, company believes that additional potential exists to discover a whole new district of mineralisation. Aurasian Minerals has signed a heads of agreement with a Jersey-based private exploration company Moroccan Minerals Ltd (MML) to acquire all of that company’s outstanding shares. At the start of December Aurasian signed a heads of terms agreement to fully-acquire Moroccan Minerals Ltd, giving it access to an earn-in agreement signed by Moroccan Minerals to earn up to an 80% stake in the Chadine polymettalic project in Serbia. Aurasian Minerals has signed a heads of agreement with a Jersey-based private exploration company Moroccan Minerals Ltd (MML) to acquire all of that company’s outstanding shares. 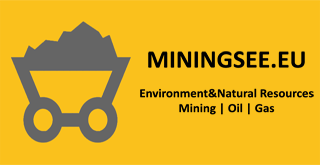 MML was set up in 2013 to explore for gold and base metals throughout Northern Africa and Eurasia. After an extensive search of projects, MML has signed an earn-in deal with a local partner, Balkan Mineral Corporate d.o.o., to earn up to an 80% interest in a polymetallic project known as Chadine, located in South-west Serbia near the border with Montenegro. Chadine is contained within a 25 kilometre long exploration permit, measuring 100km2, centred on an historic former Yugoslav polymetallic deposit explored in the 1980s. Pursuant to the HoA, Aurasian has proposed to acquire all of the outstanding shares in Moroccan (the “MML Shares”) and issue to holders of MML Shares (“MML Shareholders) 4.22 ordinary shares in the capital of Aurasian (“Aurasian Shares”) for every 1 MML Share held. MML currently has 19,200,647 MML Shares outstanding and accordingly Aurasian would issue a maximum of 81,026,730 Aurasian Shares (equating to 19.4% of the current number of Aurasian Shares in issue) pursuant to the Proposed Acquisition. If the Proposed Acquisition completes on the terms envisaged under the HoA MML Shareholders would, on completion, hold 16.3% of the Aurasian Shares then in issue.